Priceline today launched a new U.S. brand campaign, “The Priceline Deal Delegation,” that playfully celebrates different types of travelers, like couples on a romantic getaway or families gathering for a reunion. The campaign is from Dentsu Aegis Network’s Toronto-based Grip Limited, which recently became Priceline’s creative agency AOR after a review that was previously undisclosed. “Delegation” is the first work stemming from the new relationship. 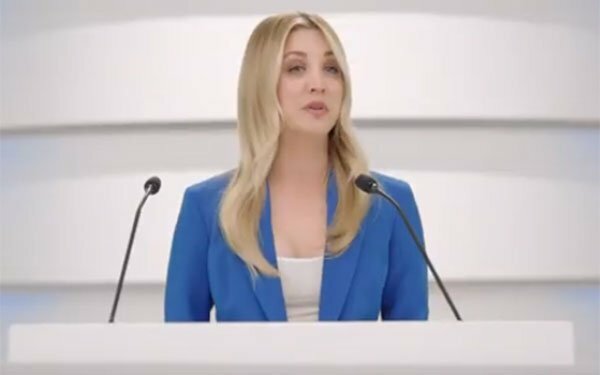 It features "Big Bang Theory" star Kaley Cuoco, who has been a Priceline spokesperson since 2013. Sample the new work here. The campaign is running nationally on television and across digital channels, throughout 2019. Priceline’s media partner is Ocean Media. "There are so many insightful travel stories to tell," added Martin McClorey, group account director at Grip Limited.